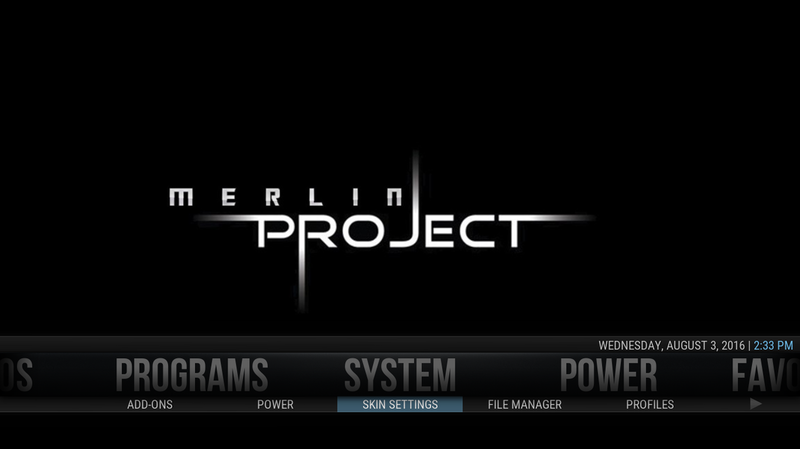 Go To SYSTEM Then SKIN SETTINGS. 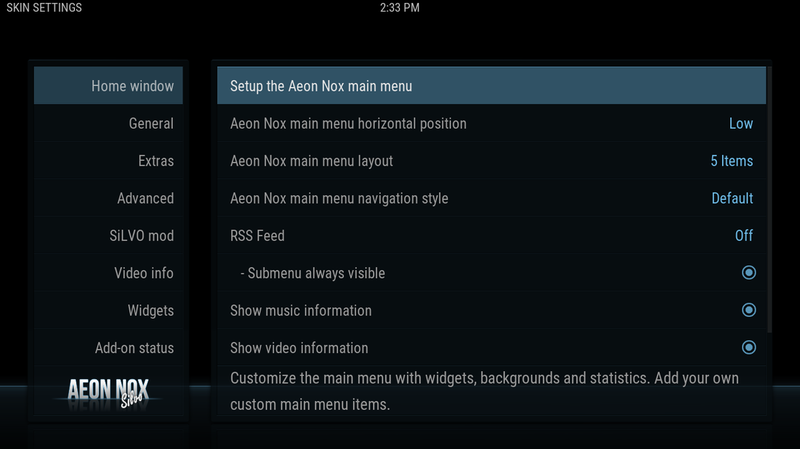 Go To HOME WINDOW Then Right To SETUP AEON NOX MAIN MENU. 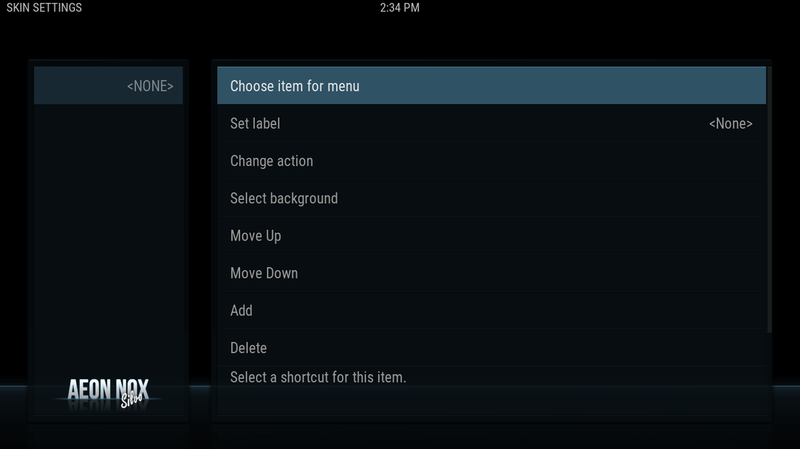 Locate A Position On The Left Where You Would Like Your New Menu Then Go Right Then Down To ADD. Immediately Go Up To SET LABEL. Then Enter A Name When Prompted. To Create A Shortcut Within The Menu (Or Any Menu). 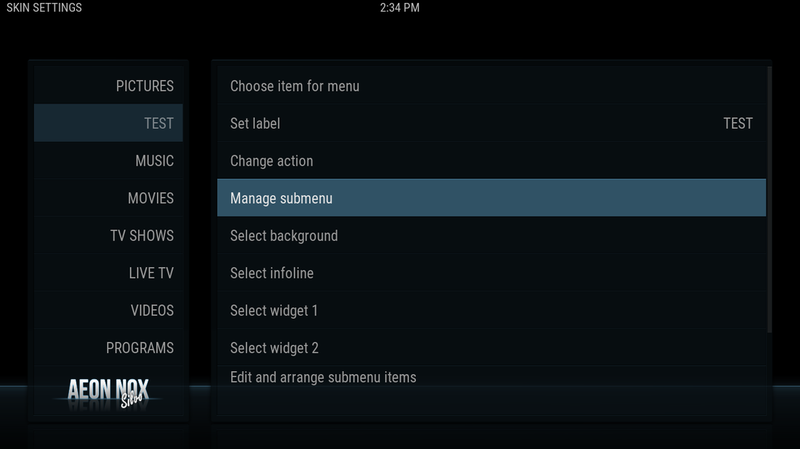 Select The Menu From The Left And Go Right Then Down To MANAGE SUBMENU. 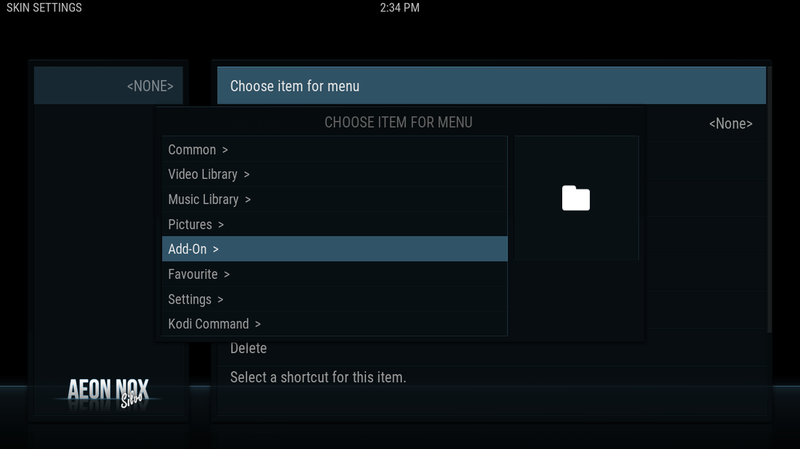 Here You Can Add Shortcuts. Click Add Then Highlight The <NONE> On The Left Then Go Right And Select CHOOSE ITEM FOR MENU. Scroll Down To The Type Of Shortcut You Want. 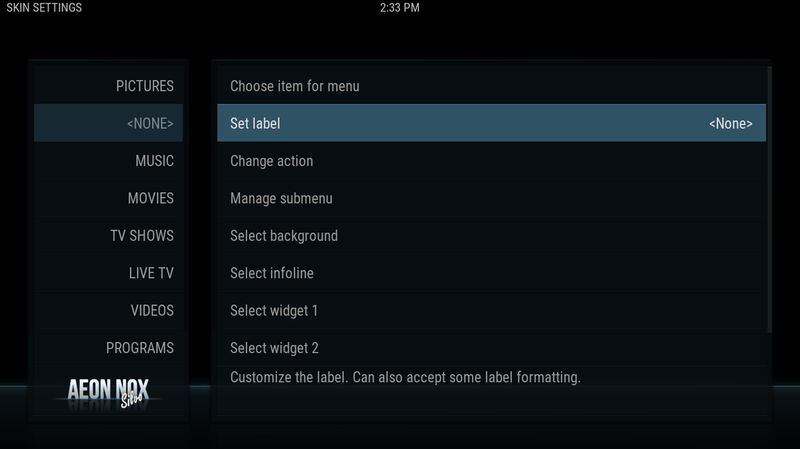 In This Example We Will Set An ADD-ON. 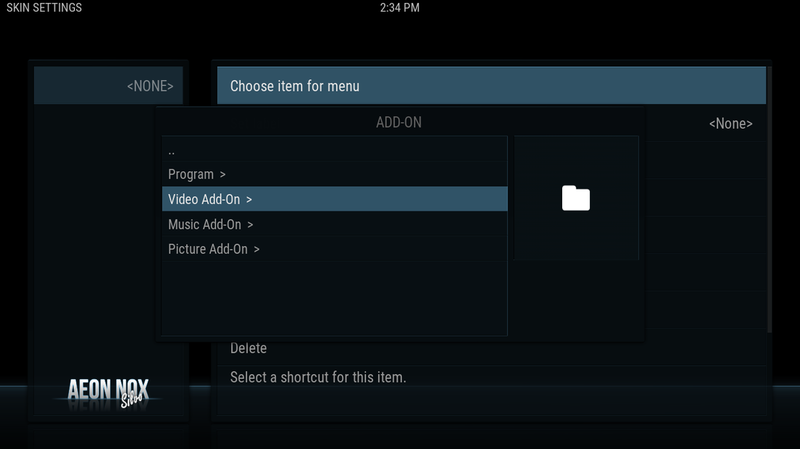 Then Select The Type Of ADD-ON, Here We Will Set VIDEO ADD-ON. 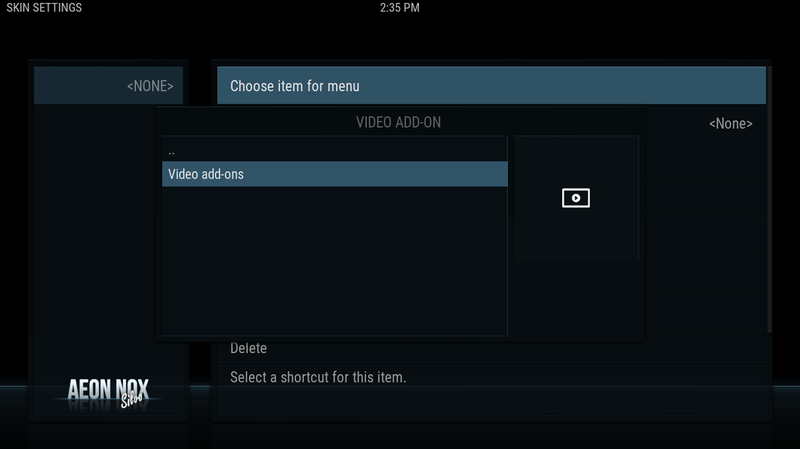 Here You Will See A List Of All Your VIDEO ADD-ONS, Select The One You Wish To Add. 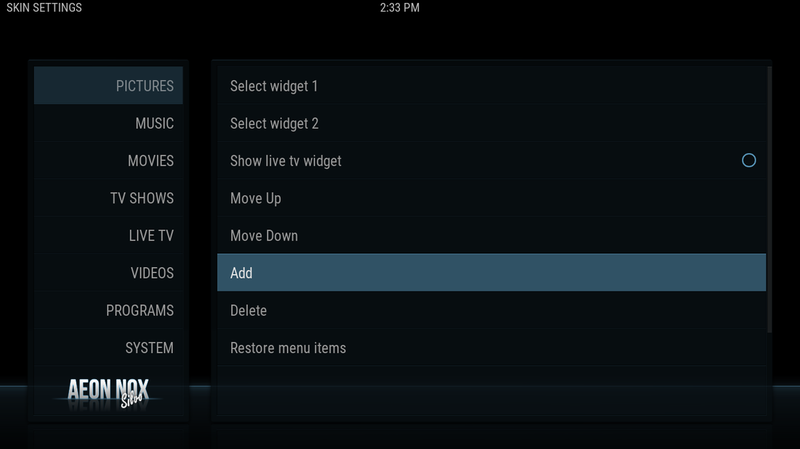 Within Each Level Of That ADD-ON You Will Be Able To Set A Shortcut To That Point. 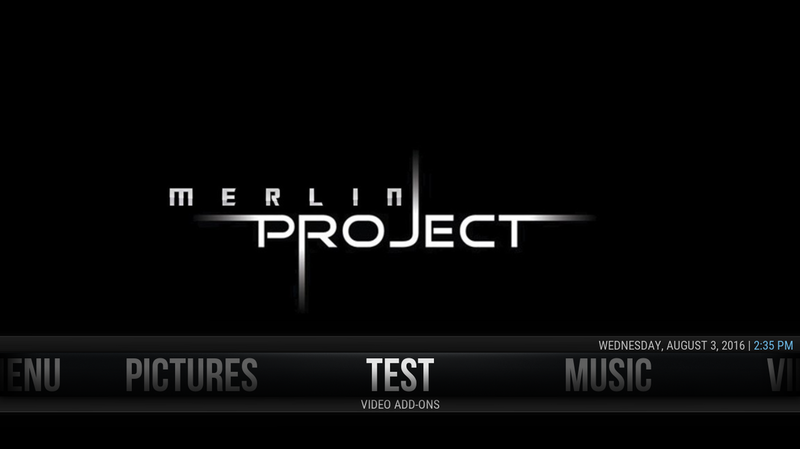 Once Completed, Go Back To The Menu Screen, The Menu Will Re Build And Your Items Will Be There.